No one knows exactly how many species of bees there are in the world. More than 20,000 species have been identified with 4,000 native to North America. 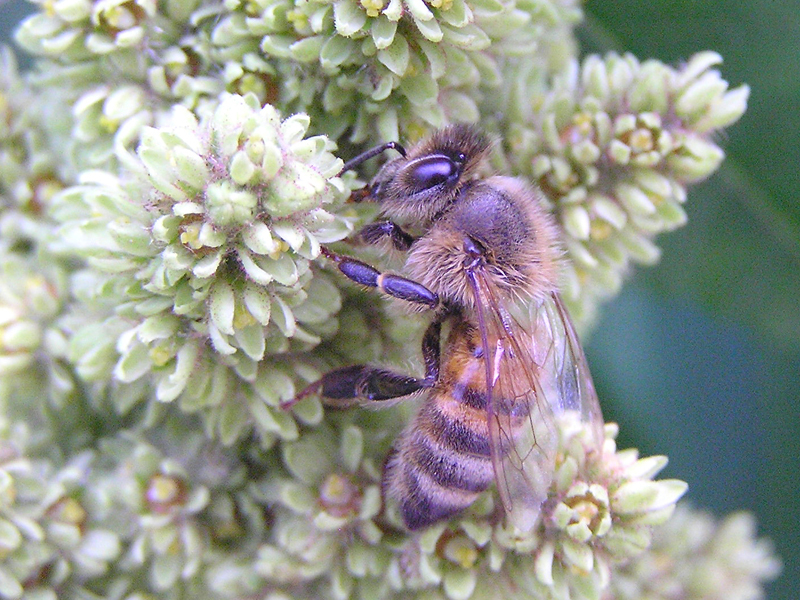 All bees, through pollination, are essential to the reproduction of many flowering plants. Gardens, with its variety of flowers, provide food for bees throughout the season as well as nesting sites and building materials. Southwark/Queen Village Community Garden has an extensive and well-connected beekeeping program – five beekeepers and three hives. Penn's Village invites you to join head beekeeper Carolyn Scott at the garden where she will show us the hives and share her knowledge of bees with us. Bring a bagged lunch for noon with the tour to start at 12:45 PM. The Community Garden is located on the 300 block of Christian Street on the north side. Please register on online, by emailing info@pennsvillage.org or by calling 215-925-7333. There is no charge for Penn’s Village members and volunteers. We would appreciate a $5 donation from other guests. Other guests are welcome to attend three programs before joining and/or volunteering.